Good news, The Charity Digital Code of Practice which we know you’ve all been waiting for has launched – a new framework to help charities understand where they are at with digital, what they are doing well and what they could develop. We’ve been working with the Charity Commission, NCVO, ACEVO, Office for Civil Society, Tech Trust and plenty of other great organisations, along with more than 40 charities across the UK, of all shapes, sizes and causes. Myself and the steering group working on the code have developed this resource which we hope will get trustees and charity leaders thinking about how their charities get more from digital. The Code isn’t there to create a burden for digital and comms teams; it’s designed to validate your thinking and provide constructive challenge as well as inspiration. We want to get digital and communications teams talking about how everyone in their organisation can benefit more from digital. Here are 5 key things that everyone should know about the Code. Charities have more in common than they think. As part of user testing the Code, we spoke to everyone from tiny, volunteer led community organisations to huge household names. They were all at different stages of digital maturity, but everyone was united by a common challenge of wanted to use digital to help their organisations succeed. Much of the time the barriers to doing what they wanted to do were similar: they came down to funding, a lack of skills and having to manage unforeseen risks e.g. a website build that went wrong. Doing great things in digital wasn’t just down to having lots of money or a huge team. We spoke to some small organisations who had used size to their advantage to respond more quickly to what their beneficiaries needed. The sector needs more of you talented digital people to be trustees. As part of the Code we are encouraging both small and large organisations to learn from each other. In particular, I’d like to see more digital professionals from large charities considering becoming trustees. Reach Volunteering has a great scheme. CEOs need to own and drive digital. We have worked with ACEVO on the Code and it includes the line ‘CEOs will need to play a critical role in initiating and spearheading digital change.’ All the charities I know who are really moving ahead with digital have a CEO who really gets it and has a clear vision of where digital can take them. Does your CEO need extra support in this area and what would make them feel more confident? Data is vital. Digital continues to be a buzzword in the sector yet data doesn’t get quite the same cachet, despite the two things going hand in hand. You can’t do great digital without having great data. We have launched some videos to go with the Code and in this video Tracey Gyateng, Data Science Manager at DataKind UK, explains how to develop your team’s digital skills and improve its confidence with data. It’s your Code and we want you to run with it. We were delighted to see that one of the Code’s champions, World Vision UK, were straight out of the gate making a podcast about it. They’ve also created a quick, simple self assessment tool to coincide with the Code’s launch, so you can see where your charity is at with digital. It is brilliant to see charities being inspired by the Code to create free tools to help the rest of the sector with it, and we encourage more organisations to do this. If you want to do this please contact me on zoe@zoeamar.com and I’d be happy to discuss further. 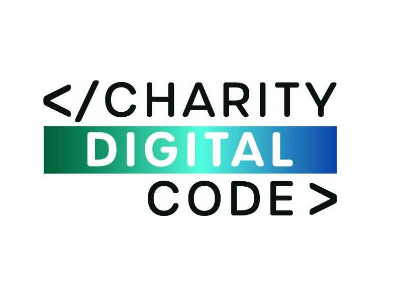 We hope you’ll find the Code useful in helping your charity on the next stage of its journey with digital, so take a look at the full code here and see what it can do for you.